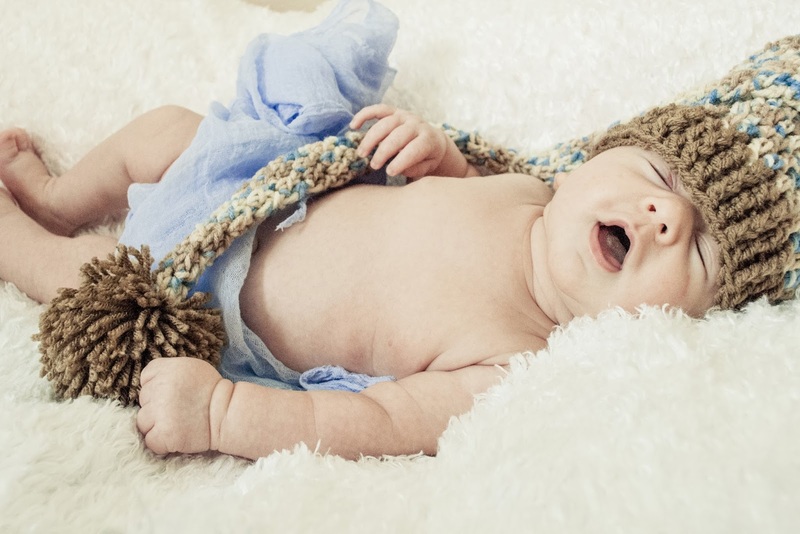 When I was pregnant, I would think about all the different "newborn" photos I was going to do of my new little bundle of joy. I was excited to try new things and get a little more practice to better my photography. 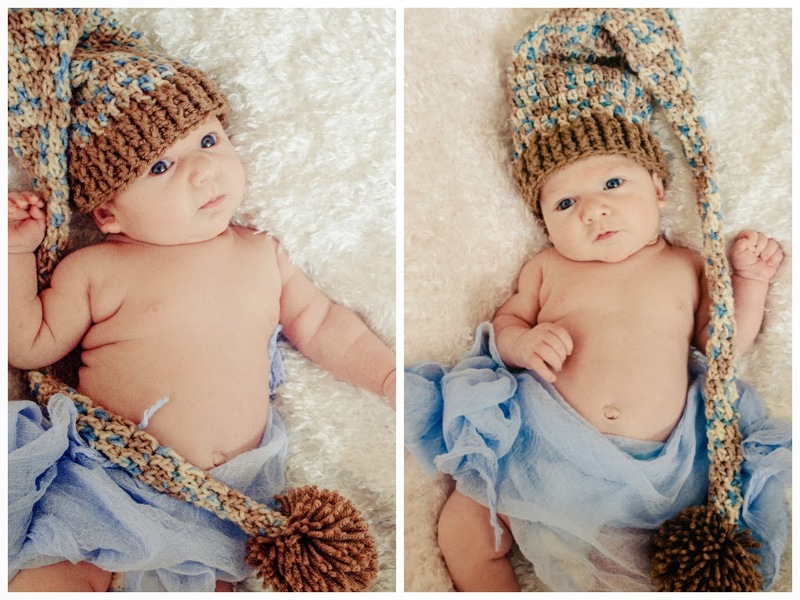 They recommend you doing newborn photos during the first couple of weeks of your baby's life. This is because they sleep a lot and are a lot more "moldable". I thought it wouldn't be a problem. Then I had a reality check. The first couple of weeks after Little Man was born were spent feeding, burping, pumping, changing diapers, changing clothes, changing my clothes (after getting peed on for the fourth time in one day), and taking care of Punkin. I had no time to sleep let alone time to do a "photo shoot". I still have lots of pictures from the moment Little Man was born. 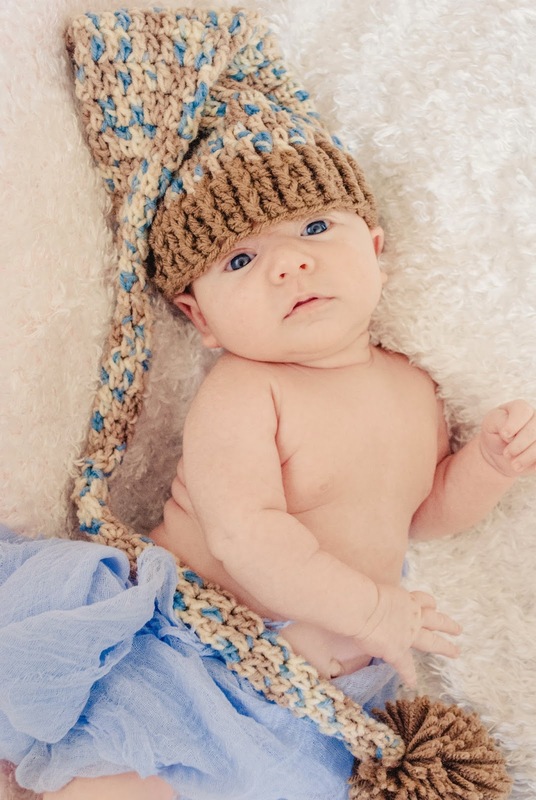 But by the time I was ready to set things up to do actual posed photos of him, he was already 6 weeks old. He did not want to sleep because he was already staying up most of the day. And he definitely was not "moldable". He did not stay in one position for more than a second and he kept trying to eat all of the props! It made me sad in a way. Then it didn't. Because I still got some pretty darn cute pictures. And I actually felt more comfortable doing different things with him than I probably would have when he was younger and more "fragile". These are just one of the few different settings we did that day. The others we used different props such as baskets, etc. I'll post them later since I have not had a chance to edit them yet. These were all taken when he was 6 weeks old. So just to assure all of you mommies or moms-to-be out there...if you pass that time slot to do your baby's "newborn photos", it's okay. 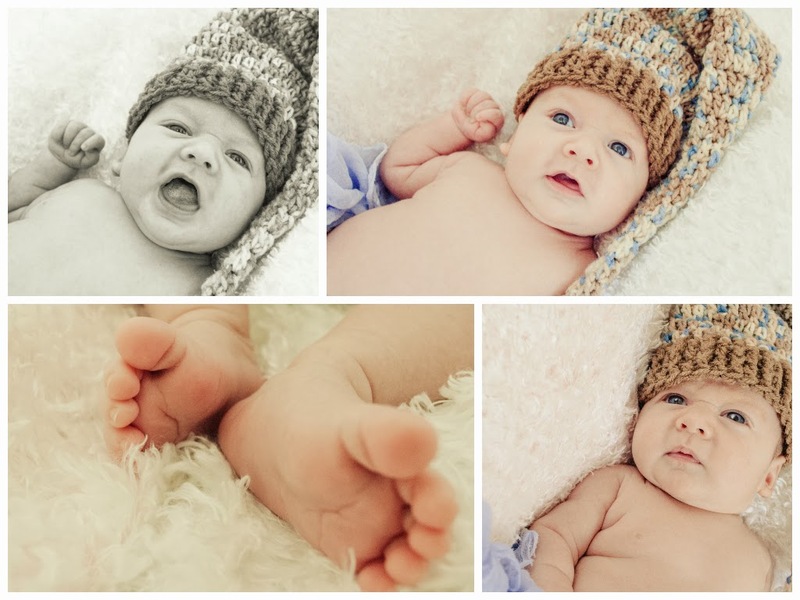 It is still possible to get amazing, memorable shots of your baby while they are still...well, babies! I did and I'm not even a professional photographer, so an experienced photographer will be able to get you what you need. Although you might not get a certain pose you wanted, you'll get the wonderful memories you were looking for. Which is what the whole thing is about in the first place. THese are sooooo adorable!!! He's precious!